If you want to exchange encrypted messages and files with other parties, then a main concern should be how to exchange encryption keys safely. Safe key exchange is a property of Public Key Cryptography. PKC is everywhere in our daily lives with computer networks, for instance when we connect to a wireless network or access a webpage over HTTPS. But if we want to directly encrypt and exchange any arbitrary content, then GnuPG is a tool with the flexibility we need. The tool is available as an Ubuntu package, so it's very easy to get started. PKC keys come in pairs consisting of a public key and a private key. The public key and private key are related in such a way that files encrypted with one key can only be decrypted with the other key. As the name suggests the public key can be shared with anyone. You could for instance share your public key with a friend by email. Once your friend is in possession of your public key, he can now use it to encrypt a file and send it to you by email. The file is then decrypted by you using your private key. Email is an inherently unsafe channel of communication and someone could have intercepted both your public key and the encrypted file - but no harm done. Without the private key the intercepted material is of no use. Let's see how this works hands-on with GnuPG on Ubuntu. First let's create your personal key pair. 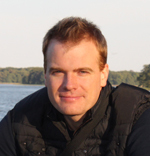 GnuPG will take you through a number of steps to set it up. Select the key type (1) RSA and RSA. A keysize of 2048 bits is still considered adequate, and if you some day wish to move your key to a safer storage, such as a OpenPGP smartcard, then the card may have a max size of 2048 bits, so let's stay with that for now. Understanding expiration periods is difficult without understanding the concept of a primary key and its subkeys, which I will introduce in another post. For now just create the key without an expiration period, it can be changed later on. Your friends will import your public key into their keyring and when they want to use the key they identify it by name, email and a comment. Make sure these uniquely identify who you are. The passphrase is critically important because it protects your private key. GnuPG maintains two keyrings, one for public keys and one for private keys. Whenever you use a private key to decrypt something, GnuPG will prompt you for the passphrase. Chose a passphrase of 3 to 5 random words. They should be random in the sense that one should not be able to find this sequence of words in any book. Google "random passphrase generator" if you need help to generate something truly random. Now that you have a key pair let's start out with a simple scenario - to encrypt a file that only you can decrypt. The -e option names the file to encrypt and the -o option the encrypted output file. The -r option tells GnuPG who the recipient is. 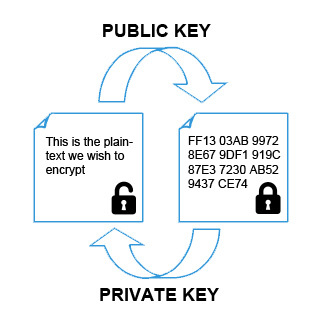 Encryption is performed with the recipient's public key. Choose yourself as recipient (in this scenario that's you Bob!). The new message.txt file should contain the same unencrypted message we started out with. Notice that we didn't specify which key to use for decryption. The key is already identified by information stored in the encrypted file. This completes the first scenario. In this next scenario we encrypt a file that only your friend Joe can decrypt. Someone may have substituted Joe's public key for their own while it was in transit to you. To verify that it is actually his key, you list the fingerprint of the key, call him on the phone and read the fingerprint aloud. If he agrees that it is indeed his key, then sign his key with your own private key to make it trusted. Note you can skip this step but GnuPG will warn you that his key is not trusted when you use it. Backup all the files stored in the ~/.gnupg folder. Although the private keyring is already protected by a passphrase, you could add another layer of security, by storing the backup on an encrypted USB flash drive. You now have a basic setup to work with public key encryption, but having the private key stored on the day-to-day machine does pose a risk that the key might be stolen. Someone that breaks into that machine, could steal your passphrase with a keylogger and copy the private keyring file. For that reason many GnuPG users choose to move the private key off the harddrive onto a OpenPGP Card USB device such as the Nitrokey Pro. Once stored on the USB device the private key can still be used, but no longer copied.